The Iaso Wellness Center, based in Santa Rosa, California, is home to energy practitioners working together with Aromatherapists, and Nutritionists for the integrative well being of our clients. Iaso Wellness Center was born out of a long held desire to establish a place to help others following many years of working in corporate America’s oil and gas industry. Through the vagaries of the capital markets, politics, capitalism, and the cyclical nature of the Oil and Gas business, the founders were presented with the opportunity to start down the path of developing the Iaso Wellness Center. The founders, both geophysicists by education, have used sound and light in their careers and this is reflected in the work and therapies offered through the Iaso Wellness Center. Both have used amplitude and frequency in their previous careers, and now carry this experience forward into chromotherapy, sound therapy, and also esogetic colorpuncture. The name Iaso stems from Greek Mythology where she is the Goddess of cures, remedies and healing modalities. The Iaso Wellness Center was established to help others transform themselves and their lives. We use a number of energetic healing modalities and esogetic colorpuncture which can be found on our services page. 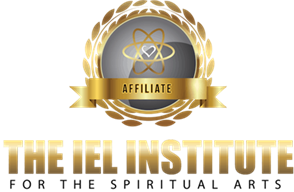 These modalities are available as standalone sessions, or as a series of sessions packaged into our Reboot Your Life program. According to Greek mythology, Iaso was the goddess of cures, remedies, and modes of healing. She was the daughter of Asklepios, the god of medicine, and Epione who was the goddess of soothing pain. Iaso is believed to have had four sisters, including Panakeia (Panacea), the goddess of universal remedy, and Hygeia, the goddess/personification of health, cleanliness, and sanitation. She is also believed to have had four brothers one of whom was a master surgeon. 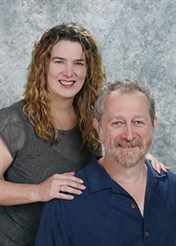 The Iaso Wellness Center was founded by Merritt and Simon. Both were scientists/seismologist – Merritt has an MS in seismology (the study of earthquakes) and Simon has a PhD. They both used seismic methods for 20+ years to study and investigate the subsurface conditions of the Earth. The seismic method uses sound waves to produce images and data of the subsurface structure and composition. These data have properties that include frequency (as does light) that can be used to infer the presence of hydrocarbons in the subsurface rock layers. 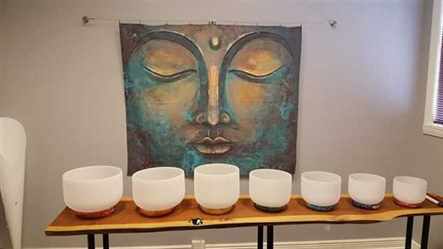 At the Iaso Wellness Center we both use sound and light waves in a therapeutic setting to restore balance and remove energetic blocks caused by stress, negative emotions or trauma on all levels, healing your past and present creating your empowered future. Merritt has been involved in energy and alternative healing work for more than 20 years. She has trained in and achieved certification in Esogetic Colorpuncture, is a certified Quantum Touch Practitioner, and a certified Atlantean Healer. Simon’s exploration of the energetic arts began six years ago. He is a Certified Forsyth Light Table Practitioner, a Master Atlantean Healer, and a certified Master Angelic Reiki practitioner. He is also trained in multiple energy healing modalities. Give us a shout via phone – 707.843.3811 – or email and let’s talk. Subscribe to our newsletter for information about upcoming events and energy healing services in our Santa Rosa wellness center. DISCLAIMER: Iaso LLC provides energy based and other therapeutic modalities through the Iaso Wellness Center. Clients should be aware that no spiritual or energy work/session can be guaranteed to cure, prevent or treat a condition or disorder. Iaso LLC does not warrant nor make any specific claims or promises or guarantees about the results of the session and specific relief is not guaranteed in any way. The Client acknowledges that none of the employees or agents of Iaso LLC are physicians or medically trained and therefore cannot diagnose disease or prescribe any medication. The Client acknowledges and agrees that it is the Client’s responsibility to seek the care of a licensed physician or licensed healthcare professional for any physical or psychological ailment. The Client also acknowledges that Iaso LLC does not advocate or advise you to discontinue any medical treatment you may be receiving nor discontinue any course of medicines that you may be taking. The work of Iaso LLC's practitioners is intended to be in harmony with any other healing work that you undertake, including traditional medicine. While many benefits have been reported by those who have experienced these energy sessions, the Client acknowledges that not all energetic modalities will work for everyone. Iaso LLC does not accept any liability whatsoever whether directly or indirectly for your choices, thoughts and/or actions based on your requested session, results and experiences of or during the session or any reading. Any actions taken by you as a result of your session are done at your own risk and expense. Any information based on messages channeled are from Higher Spirit Sources and not the views of Iaso LLC its agents or employees. Any actions or implementation, not limited to but including, of any guidance or meditation is at the free will and responsibility of the Client. Booking an appointment online or by any other means, gives Iaso LLC and its practitioners permission to perform the session and the Client agrees that if you are uncomfortable at any time, it is the Client's responsibility to inform the practitioner.